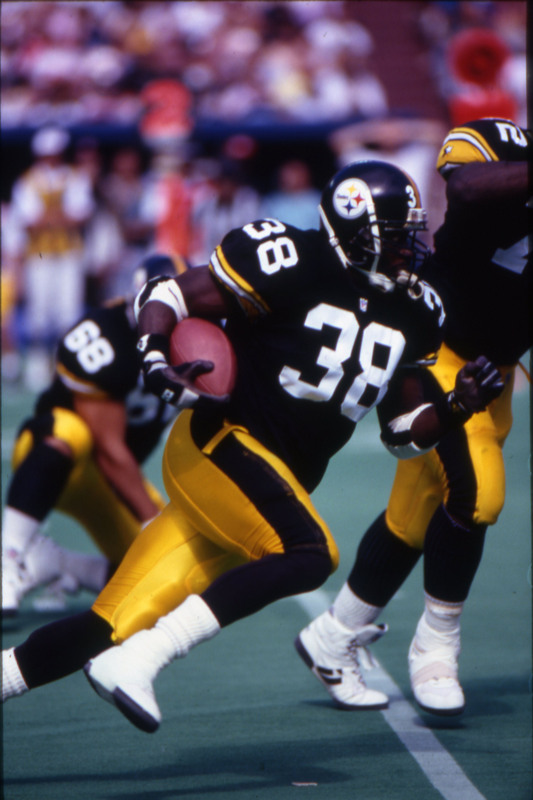 Tim Worley is a former NFL RB who played six seasons from 1989-1996 with the Pittsburgh Steelers and the Chicago Bears. 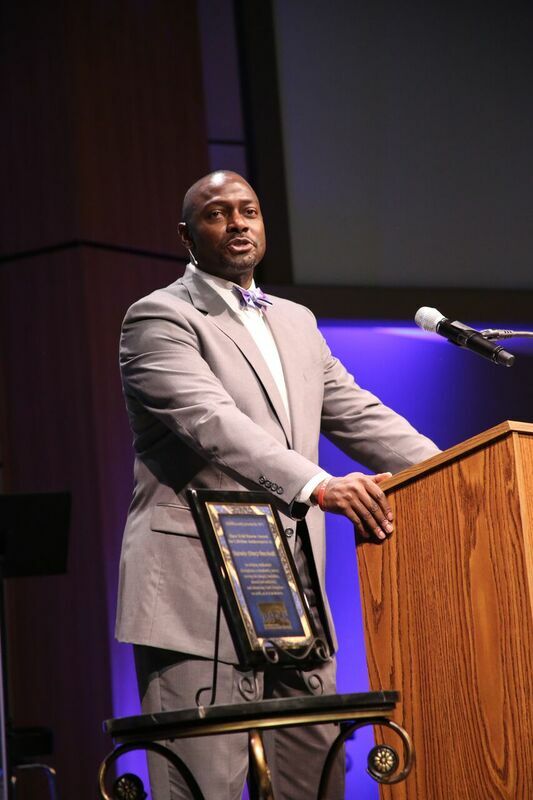 Worley struggled with drug abuse and legal issues before turning his life around and becoming a John C. Maxwell-certified speaker and leadership development and life skills consultant. Q: What were some of the pressures you faced when entering the league? One of the pressures was being drafted at the 7th pick in the first round to the Pittsburgh Steelers. At that time contract negotiations were pretty tight, and you didn’t get in right away. Sometimes guys didn’t even play the same season they were drafted. 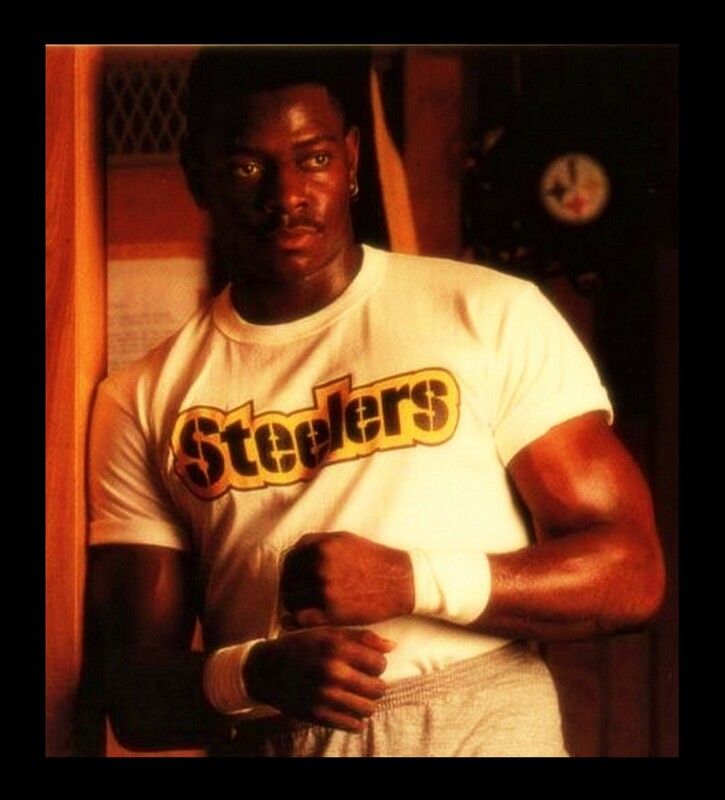 I missed all of training camp and finally signed a multimillion dollar contract, where I was the first Steeler rookie in the history of the organization to get a million dollar signing bonus. With that, the pressure and fear hit me. Because I knew that these guys were expecting a lot of me, an immediate return on investment. So that pressure automatically hits, and it’s another level. In the first game of the season I fumbled the ball three times, so things didn’t start off very well. But by the fourth or fifth game of the season things turned around for me. But that pressure of carrying the team and people expecting a lot out of you, it really weighed me down. I ended up having a great rookie year, but after leading the team in rushing (the first rookie to do that since Franco Harris), I got complacent. I felt like I took my foot off the gas, and stopped doing the things that got me to the NFL. And I’m not just talking about playing ball, that came easy. I mean off the field. The city was expecting a lot out of me, to be a spokesperson, to do certain things in the community, but I didn’t want any of that. So I put myself in a position where I didn’t want them to expect too much from me off the field. Because I was afraid of that side of it, and just wanted them to let me play ball. Then the partying lifestyle stepped in. I coped with my fears by partying, drinking, using drugs. And then here I am in my third year in the league, and now I’m getting in trouble. Failing drug tests, getting DUIs. I coped with my fears by partying, drinking, using drugs. And then here I am in my third year in the league, and now I’m getting in trouble. Failing drug tests, getting DUIs. Your gifts will make room for you, but it’s your character that keeps you in the room. And if you don’t have great character, take a picture of that room, because you won’t be there long. So back when I was playing in my early years, I didn’t have great character, and it crushed me. Out of a promising career I was able to get six or seven years when it could’ve been 10-12. But the character, responsibility and strength in that area, it just wasn’t there at the time because I was afraid. Q: What thoughts were going through your head as your career was coming to an end? I was always fascinated by the fact that I was in the league, but you don’t realize what you have until it’s gone. And I didn’t realize it until years later sitting in the stands and watching a game as a spectator, I realized that I really took it for granted. I blew it, and didn’t give it all that I had. I was able to step back and really see that. One of the things my father told me a long time ago, “When the butterflies stop, it’s time to give it up.” And around the last two years of my career, I wasn’t getting those butterflies, and that told me it was almost time to be done. And considering a lot of injuries and the problems I went through with failing drug tests and getting in trouble, I learned a lot, but I was ready for it to be over. My mind was not in it. And when it was over for me, I went through a season where I didn’t know what to do with myself. I almost joined the Navy, because I wanted to be a part of a team again. And when it was over for me, I went through a season where I didn’t know what to do with myself. I almost joined the Navy, because I wanted to be a part of a team again. Q: What were the first few years out of the league like for you during your transition? I went through years and years of drug abuse, legal issues, run-ins with the police, and thank God that I’m still here and don’t do those things anymore. But it took a couple of decades to understand who I was and the position that I had. And I’ll be honest, I never understood the platform that I had. It was when I was away from it for years, that’s when something clicked. I sat for days in tears, because I realized how much I blew things. I just didn’t know. But now I understand what that was all about. And today, God brought that athletic platform forward, and I use it to glorify His name. And I use it for some of the professional things I’m doing now. I sat for days in tears, because I realized how much I blew things. 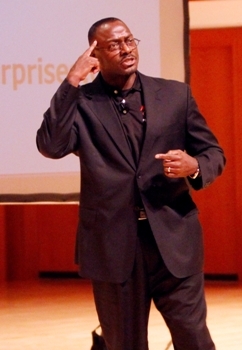 Who would believe that I would be a guy that’s speaking to corporate leadership, doing seminars and conferences? But I had to humble myself. And I had to reapply myself. I had to go back to school, get certifications, get something new. Because I’m older now, 51 years old. And I started doing these things back when I was about 40. So it’s been an experience. Q: Talk about 2008, and how your life changed during that year. It was a really rough year, and one I’ll never forget. I was divorced, had lost everything, didn’t have too many friends, and I was still sporadically using drugs and alcohol. I was still in a lifestyle I shouldn’t have been in, because I was hurting, and didn’t know what to do with myself. Between the months of January and April, mentally, I was kind of suicidal. I was at a point where, what do you do when the cheering stops? When you feel like you’re a has-been? All the money’s gone, no friends. I was at a place where I wasn’t going to take my own life, but I was going to put myself in a situation where it could be taken. Because I was tired, and didn’t know what to do with myself. I wasn’t going to take my own life, but I was going to put myself in a situation where it could be taken. So I remember that day, April 12, I had made up my mind and I challenged God. I went out and got in my vehicle at 10 A.M. that morning and purchased a case of beer, and downed it in less than an hour. I went into the city and got with some of my so-called friends and partied up into the wee hours of the morning. And I’ll never forget, I walked out of a sports bar, and there were two police officers outside waiting for drunk drivers to get into their car. So I walked about 50 to 75 feet from the car, waved my hand and told them to follow me. I was totally drunk, under the influence of cocaine and alcohol, and I was looking to die that night. I wanted to give the officer a reason to shoot me. I got in my vehicle, and immediately the blue lights hit me. I get out of the car, the officer starts giving me commands, and I’m looking for a fight. He went to put the cuffs on me, and I moved to the side and swatted him on the side of the face. I was thinking that he was going to shoot me, and hoping he would. But he didn’t do it, and instead pulled out his pepper spray. I turned my back to him and walked off, hoping he would shoot me in the back. Instead, he pulled out his taser, and when he hit me in the back left shoulder, he dropped me like a bad habit. He got me on the ground, and all the other police officers showed up, got me subdued and took me to the jailhouse. I sat there until morning, and it wasn’t until I was sitting in that holding cell and the drugs and alcohol had worn off that I realized what had just happened. I got on my knees in that cell and asked the Lord for forgiveness, and to restore my life. I spent 23 days in jail, and when I got out, I took an opportunity that one of my ex-teammates brought to me. And ever since April 13, 2008, my life has radically changed. Ever since then, it’s been amazing. Life is good. Q: Tell us about Worley Global Enterprises and the work you do. We are a communications consulting firm, my wife and I. My wife was also an athlete, a gymnast at the University of Alabama. We started our company about 10 years ago, and my part is leadership development. I do a lot of speaking, character development. My wife is in brand marketing and PR, and she is a writer and editor as well. So she wears a lot of hats. My leadership development comes from my experience in the NFL, things that I didn’t understand in my 20’s when it came to responsibility and leadership and possessing great character. I’ve been able to take the mistakes that I’ve made and use them to teach. Q: What made you discover your talent for motivational speaking? It goes back to even before I retired. I spent my last couple of seasons with the Bears, and the way it happened was under crazy circumstances. I was in a situation legally where I had to do community service in Chicago, and one of the things I had to do was go speak at a high school. I got in trouble for speeding and driving under the influence, and the judge had me go speak about the dangers of drinking and driving to students. So I took that and ran with it, but at the time I was afraid. But over the years after I retired it began to develop and I found myself speaking at different venues all over the country, doing a lot of things with FCA, a lot of young people. Now it’s moved more into working with corporate leadership and adults. Even churches and non-profit organizations, banquets, all sorts of places that I get a chance to share my wisdom with people. Q: How has your wife played a role in your transition? Well, we are a team. One of the things my wife and I say is that there are a lot of people that are married, but not everyone is a team. My wife totally supports me and I support her. We go back 30 years - we dated in 1988 for three years and then we broke up because I was young and foolish. I broke her heart. Finally, after 18 years of being apart, the good Lord brought us back together. We got married in 2010 and are going on 8 years now. She’s that strength. I know she’s the woman for me, because the compatibility is so strong. We understand that love is a commitment, not a feeling. No matter what, no matter how hard it gets. And we’ve been through some tough times. But she is that strength, and I don’t think I could do it without her. There’s a fool and a king in every man, and the one that you address the most, that’s the one that’s going to show up. She really knows who I am, and pulls on my potential and speaks to the king in me. There’s a fool and a king in every man, and the one that you address the most, that’s the one that’s going to show up. Q: What would you say to another former player who may be struggling with life after the game? I would tell them to hit their knees and ask God for help. He will lead you to the people that can help you. And I would tell him to connect, don’t hide. A lot of us hide when we’re done playing, and we’re very prideful. If we’re going through something, we don’t want anybody to know. We want people to believe we got it all together. It’s OK.
Humble yourself, drop your pride and ask for help. Being these warriors that we are, sometimes we’re prideful and don’t want to ask for help. But I had to humble myself, I had to get through all the shame and the stuff that I did to myself, and ask for help.